Customer experience conferences are a great place to learn from CX experts and from your peers as well be exposed to the latest technology driving CX change. CX conferences are often times a bit broader than typical call center conferences, which is why we thought it would be a good idea to put together this listing. Look forward to learning the newest industry trends and utilizing tips to create a customer experience that will leave your competition well behind you. The X4 Experience Summit Conference focuses on bringing your business to the next level. Through the utilization of top industry leaders and icons, such as appearances from Barack Obama and Oprah Winfrey, learn how to experience your next breakthrough. Through the Oracle Modern Customer Experience Conference, learn new approaches to beat customer expectations. Develop a cutting-edge CX strategy or benefit from focused networking through the influence of successful speakers and industry leaders. Be a part of the experience to become the next generation of innovators. This is Adobe’s customer experience conference. You can learn about advertising, analytics & data management, content & experience management, and design-led customer experiences among others. Join experts as they focus on driving radical CX innovation. According to CX leaders, innovation is going to change the game of customer experiences. Don’t miss the opportunity to listen to top professionals help your company stay current and competitive within the industry. Gain comprehensive coverage of today’s top priorities for CX leaders at Gartner Customer Experience & Technologies Summit 2019, London’s top customer experience event. Develop clear visions, elevate your customer’s journey, and learn tactics to ensure seamless customer experience from experts in the field. This 12th Annual Customer Experience Management event emphasizes the importance of balancing your bottom line and your customers. Discover how to stand out among the competition to create a customer experience they won’t forget. With 250+ Senior Attendees, The Customer Service Summit highlights the need to change the way we do business, putting the customer first each and every time. The time has come for an aggressive push for radical change in CX. Combining both insight and innovation, don’t miss the chance to be part of the revolutionary change of customer experience. Learn first-hand the steps to build successful consumer experiences from a conference built on forward-thinking CX research. The Gartner Customer Experience & Technologies Summit hosts over 330 attendees to network, share, and explore how to turn the vision of customer experience into a reality. Understand the importance of why organizations must radically redefine themselves to meet ever more demanding consumer expectations. This event highlights three important questions: 1) How will you interact with your customer? 2) How will your customer view you? 3) How will you understand your customer? 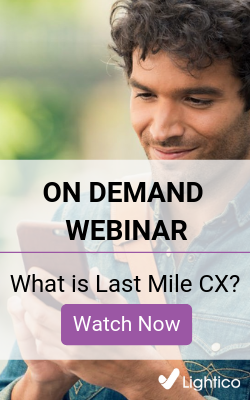 Through experienced leaders, learn how to effectively answer these questions and fill the gap in the current CX methods that you’ve been missing. Customer Experience has shifted from a marketing tactic to a core strategic business function with technology as the leading factor. The combination of knowledge by leaders in both CX and Tech provides an innovating experience with guaranteed growth for attendees. Embrace the future of retail through innovative, personalized and connected customer experiences. Take advantage of customer demands and gain competitive advantage with a consumer journey unlike any other. Connect with top brands while attending cutting-edge sessions to learn their insight on how to stay ahead. This event provides the opportunity for America’s most innovative financial services CX professionals to meet and learn about the changing customer experience. Understand exactly who your customer is and how to best fit their needs from experts in the industry. With digital usage rising at an incremental speed, it is vital to master the customer’s experience on this platform. The DX Summit focuses on navigating these experiences to solidify how businesses can best understand and create an enjoyable and stress-free experience for users. Attend Europe’s largest event dedicated to customer and employee engagement professionals. Gain insights on the hottest industry trends while listening to success stories from over 90+ speakers.